You can imagine the tension that must have enveloped the newsroom when this letter arrived. On the one hand, the journalistic integrity of the paper was at stake; how could they do anything but tell the truth? And on the other… well, only a grinch would want to kill Santa Claus, so how could they possibly tell her the truth? Yes, Virginia, there is a Santa Claus. He exists as certainly as love and generosity and devotion exist, and you know that they abound and give to your life its highest beauty and joy…. 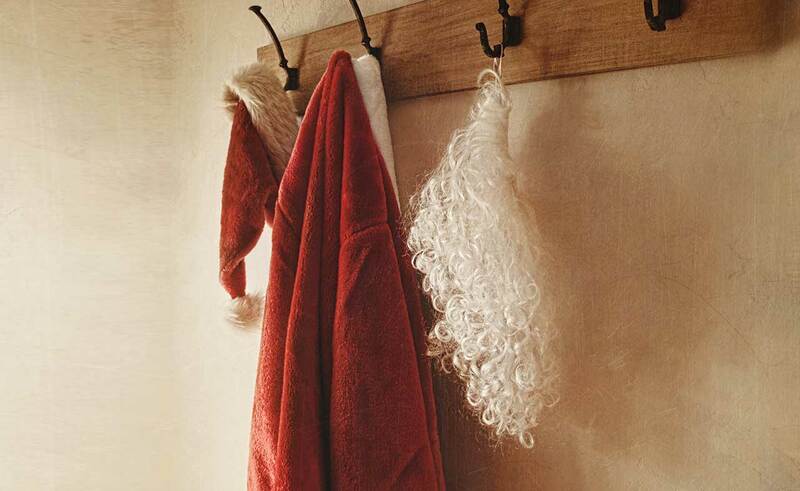 Nobody sees Santa Claus, but that is no sign that there is no Santa Claus. The most real things in the world are those that neither children nor men can see. Thanks to Pharcellus, Santa lived on for this little girl. At least for another year. Today it seems like we have the same two options facing us: to share the fun of Santa with our children, or to tell the truth about Him. We can either be liars or killjoys. The strength of the killjoy option is readily apparent. God loves truth, and hates lies. We teach our children to love truth and hate lies. So we as parents should be truthful and not tell lies. More worrisome is how similar the mythical Santa is to the real God. Both can’t be seen, both know when we’ve been bad or good, and both administer justice. So when we tell our kids that both are real, but later admit that, yes, that Santa guy actually isn’t, we’ve given our kids good reason to doubt what we’ve told them about God. That’s big. That’s huge! So does that mean we have to give up on the fun of Santa? Nope. There is a third option that Francis Pharcellus knew nothing about. In our family photo album one of the pictures is of a kid, 5 or 6, who has just been given a Sesame Street Ernie puppet. In the photo we can see Ernie talking, and the expression on this boy’s face is of wide-eyed, mouth gaping, jumping up on his tiptoes, kind of joy – he could not be more excited! And yet, this is no dumb kid. He can surely tell that where Ernie’s legs should have been, there was his brother’s arm instead. And the voice he was hearing couldn’t have sounded much like Ernie’s. The boy knew this wasn’t really Ernie… but it sure was fun to pretend! The third option is telling our kids the truth, and then playing make-believe. If our kids know this Santa guy is just a story, then we can keep what’s good, and ditch whatever we don’t like. We can reimagine the story, skip the crass commercialization, and keep the generosity. We can pick the Saint over the Santa, and connect the Saint to his Savior. We can pick the 5th of December, or do our Dutch heritage proud and exchange gifts after Boxing Day. Zwarte Piet can make an appearance, or not… but if he does show up, he’s going to be less scary, and a lot more fun because the kids will be in on the joke. We can put out the glass of milk, and make sure that whatever cookies we place on the plate are dad’s favorites. 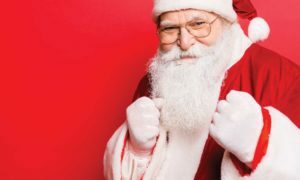 Children can still get their pictures taken with Santa, or skip it if the line is too long – no stress, no worries, because, hey, he’s just a guy playing dress-up after all. And if the line is too long, maybe dad will have to get out the ol’ beard and pillow for some photos at home. Because it sure is fun to pretend. Pretending is awesome. But lying to little Victoria? Ho, ho ho, well, that is sure to land you on Santa’s naughty list! This article first appeared in the December 2013 issue. The author is worried he might not need the pillow. The question poses a false dilemma, suggesting that there might be a right or wrong time. In reality, if you decide to exchange gifts, anytime is fine. 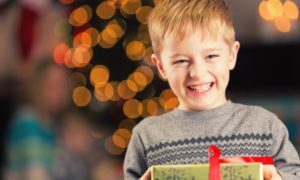 Perhaps there are days that are more suitable or that tradition has made more common (like Sinterklass or Christmas Eve) but only our legalistic bones would expect that there are definitive right or wrong times to unwrap gifts.